One of Houston’s Best Suburbs, Missouri City is appealing due to its easy accessibility, great amenities, and highly-desirable master-planned communities. Located around 20 miles southwest of downtown Houston, Missouri City is an independent city adjacent to Sugar Land and Stafford. 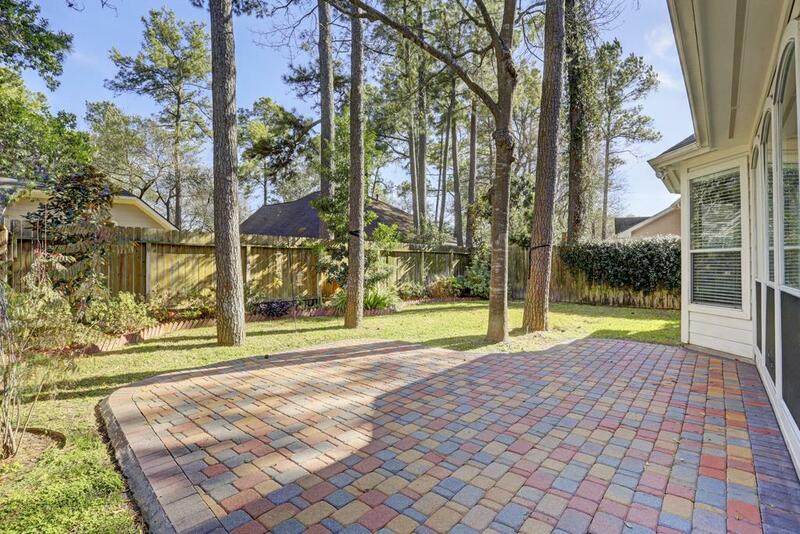 It features some of Houston’s best golf course communities, including Sienna Plantation. MASTER-PLANNED COMMUNITIES: Several master-planned communities call Missouri City home, including Lake Olympia, Westpoint Estates, and parts of Sienna Plantation and Riverstone. These communities offer amenities like championship golf courses, splash pads, waterparks, swimming pools, trail networks, and lakes. EASY COMMUTES: Missouri City homes have easy access to several main roads, including Beltway 8, Highway 6, Fort Bend Parkway Tollroad, US 90A, and Southwest Freeway. Residents are minutes away from key employment centers in Houston, Stafford, and Sugar Land. OUTDOOR RECREATION CENTERS: The city offers a number of green spaces, park areas, and recreational centers. Texas Gold Medal Award-winning Missouri City Parks and Recreation Department maintains 20 parks, athletic centers, and miles of hike-and-bike trails. The Quail Valley Golf, Grille & Events Center and the Sienna Plantation Golf Club are also within the city. PROXIMITY TO RETAIL AND ENTERTAINMENT: Residents are also minutes away from several retail and dining options, including Riverstone Shopping Center, a 200,000-square foot retail hub stretching from University Boulevard to Riverstone Boulevard. More commercial establishments line Highway 6. Missouri City real estate can be tricky to navigate given the number of communities in the area and diversity of builders (some far superior than others). Contact Paige Martin, one of Houston’s Best Realtors and one of Missouri City’s most active real estate agents, if you’re looking to buy or sell a home in Missouri City. 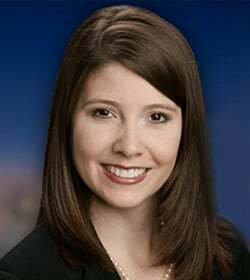 For any inquiries about Missouri City homes recommendations, or off-market MLS listings, get in touch with Paige Martin, head of the Houston Properties Team and one of the best realtors in Houston. I am interested in Missouri City and would like to get more details. Nestled about 20 miles southwest of downtown Houston, Missouri City features a mix of master-planned communities and more established neighborhoods. Several master-planned communities call Missouri City home, including Lake Olympia, Westpoint Estates, and parts of Sienna Plantation and Riverstone. These communities offer amenities like championship golf courses, splash pads, waterparks, swimming pools, trail networks, and lakes. Missouri City homes have easy access to several main roads, including Beltway 8, Highway 6, Fort Bend Parkway Tollroad, US 90A, and Southwest Freeway. Residents are minutes away from key employment centers in Houston, Stafford, and Sugar Land. Most Missouri City homes are zoned to Fort Bend ISD, while the small section within Harris County is served by Houston ISD schools. National Blue Ribbon Schools First Colony Middle School and Elkins High School serve sections of the city. The city offers a number of green spaces, park areas, and recreational centers. Texas Gold Medal Award-winning Missouri City Parks and Recreation Department maintains 20 parks, athletic centers, and miles of hike-and-bike trails. The Quail Valley Golf, Grille & Events Center is also within the city. Residents are also minutes away from several retail and dining options, including Riverstone Shopping Center, a 200,000-square foot retail hub stretching from University Boulevard to Riverstone Boulevard. More commercial establishments line Highway 6. The city was incorporated in 1956 and features a council-manager form of government. Some communities in the area offer townhome options, though there are very few condo and multi-family home options due to current zoning ordinances. Missouri City offers a wide array of single-family home options. The city features a mix of old and new, from traditional single-family homes dating back to the 1950s to golf course homes and lakefront estates. Lot sizes in the area range from 1,000 to over 10,000 square feet. The most expensive Missouri City homes range from golf course properties to lakefront estates. Most are within gated sections or communities and can feature as many as 7 bedrooms. Architectural styles vary. Most Missouri City homes lean toward traditional designs, though some draw inspiration from Spanish, Contemporary, Mediterranean, and Colonial aesthetics. 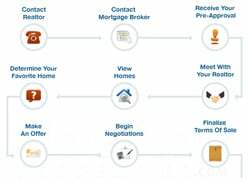 Prices for Missouri City homes for sale start at around $100,000 and can get up to more than $2,000,000. Covering a 29.8-square mile area southwest of Houston, Missouri City is an independent city within the Houston–The Woodlands–Sugar Land metropolitan area. Most of the city sits south of Beltway 8 and within Fort Bend County, a small portion is north of the beltway and is within Harris County. 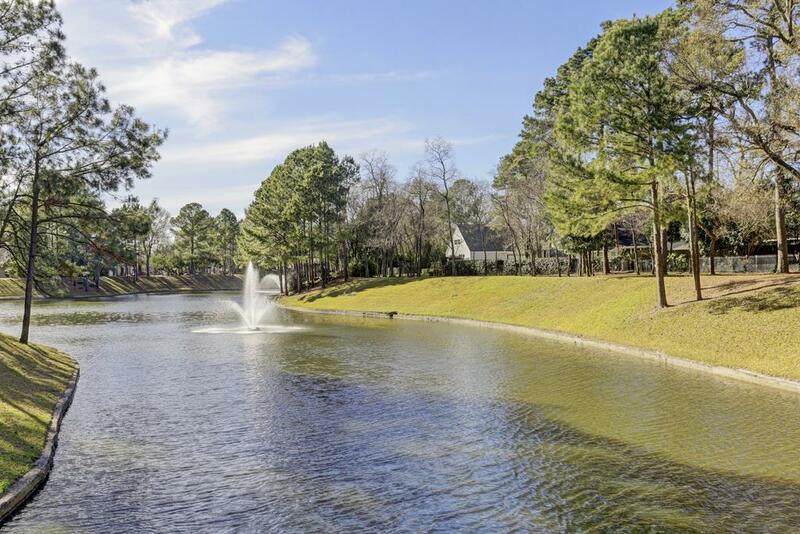 It sits about 20 miles southwest of downtown Houston, and features a number of master-planned communities, including Sienna Plantation, Lake Olympia, and Westpoint Estates. Missouri City homes have easy access to several main roads, including Beltway 8, Highway 6, Fort Bend Parkway Tollroad, US 90A, and Southwest Freeway. The city offers a number of green spaces, park areas, and recreational centers. The Missouri City Parks and Recreation Department maintains 20 parks, athletic centers, and miles of hike-and-bike trails. Residents also have plenty of retail and dining options within minutes of their homes. There are over 200+ Yelp-rated restaurants, bars, and cafes in the area. The Riverstone Shopping Center and several commercial establishments area located along Highway 6. Most Missouri City homes are zoned to Fort Bend ISD schools, while those within Harris County are served by Houston ISD schools. Fort Bend Independent School District (FBISD) covers a 170-square mile area and serves Sugar Land, Meadows Place, Missouri City, Pearland, and some parts of Houston. The TEA gave the FBISD a “Recognized” rating and was named a National School District of Character in 2011 by the National Schools of Character Program. 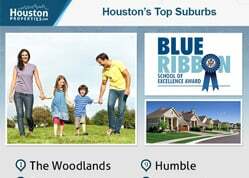 Houston Independent School District, or HISD, features several National Blue Ribbon and multi-award winning schools. *Due to the number of schools serving Missouri City homes, we opted to list them along with each school’s notable awards and programs. E. A. Jones Elementary School at 302 Martin Ln. Glover Elementary School at 1510 Columbia Blue Dr.
Hunters Glen Elementary School at 695 Independence Blvd. Lantern Lane Elementary School at 3323 Mission Valley Dr.
Palmer Elementary School at 4208 Crow Valley Dr.
Quail Valley Elementary School at 3500 Quail Village Dr.
Lake Olympia Middle School at 3100 Lake Olympia Pkwy. Missouri City Middle School at 202 Martin Ln. Baines Middle School at 9000 Sienna Ranch Rd. Dulles Middle School at 500 Dulles Ave.
Thurgood Marshall High School at 1220 Buffalo Run. Ridge Point High School at 500 Waters Lake Blvd. Clements High School at 4200 Elkins Rd. The following are some of the more notable private schools in and around Missouri City. Missouri City Kindercare at 1531 Texas Pkwy. 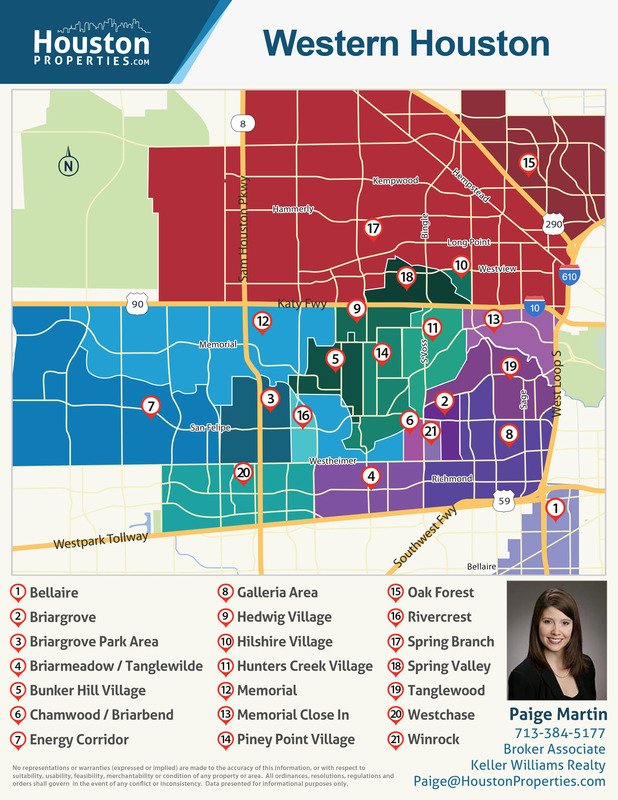 To find an updated listing of all Missouri City real estate zoned to any specific public school, please send an email to Paige Martin at Paige@HoustonProperties.com with the property preference and budget that you’re working with. Missouri City real estate have slowly appreciated over the past 10 years, with the median sales price breaking the $200,000-mark. Land prices have also started to pick up over the past few years. Several factors contribute to the city’s popularity, including highly desirable master-planned communities in the area and new construction homes (which also helps push prices up). 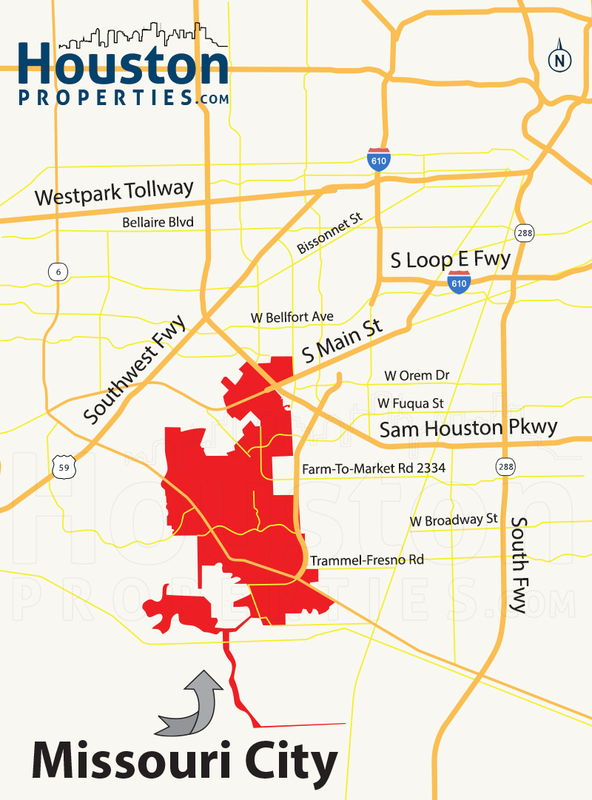 The city’s easy access to key districts in Houston, as well as Stafford and Sugar Land also give residents fairly easy commutes to business, employment, and entertainment hubs. 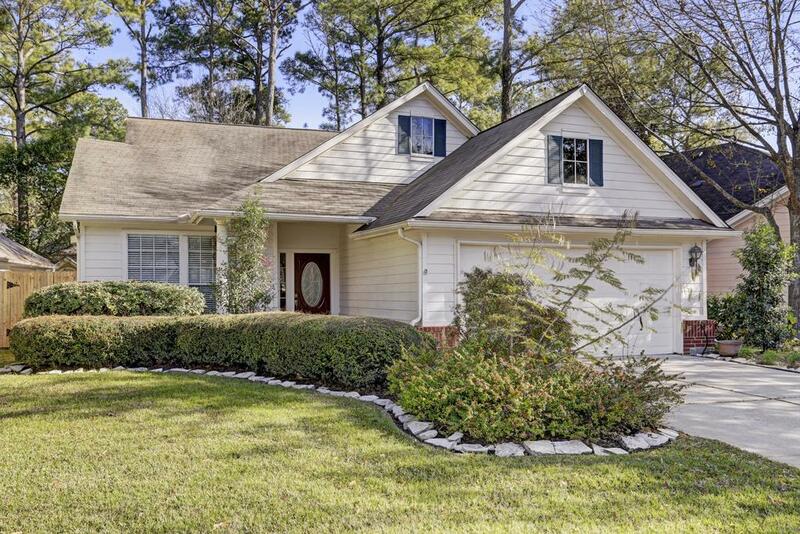 Note: Given the number of neighborhoods and communities in the Missouri City area, it may be best to take a closer look at each neighborhood and community with a reliable Realtor for more accurate trends. 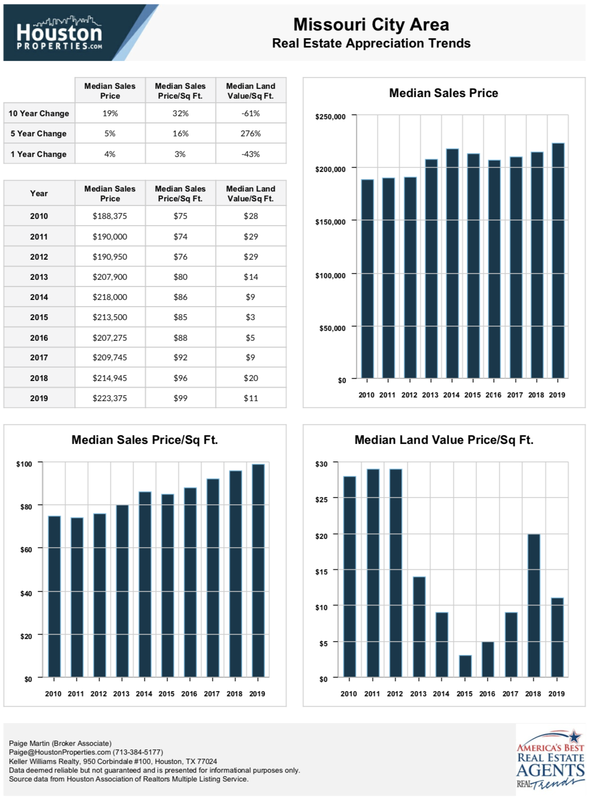 For updated information regarding Missouri City real estate pricing and trend analysis, please contact Paige Martin at Paige@HoustonProperties.com. Missouri City homes typically offer 3- to 5-bedroom floor plans, with living spaces ranging in size from 1,000 to over 4,000 square feet. Lot sizes range from 1,000 to over 10,000 square feet. 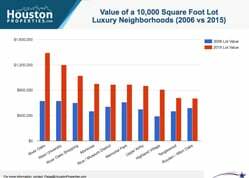 The most expensive Missouri City real estate tend to be recently contructed and sit on sprawling lots (from 15,000 to more than 100,000 square feet). Most offer 4 to 7 bedrooms and as many as 8 baths, spread over 5,000 to 9,000+ square feet of living space. Many are located within gated sections or communities. Architectural styles vary. Some homes in the area draw inspiration from Spanish, Contemporary, Traditional, Mediterranean, and Colonial aesthetics. There are a few townhome options in Missouri City, many of which are recently built. Some of the city’s more established neighborhoods, like Quail Valley, also offer a few options. Missouri City townhomes often offer 2- to 3-bedrooms, spread over 1,400 to more than 2,800 square feet of living space. Lot sizes range from 1,600 to around 2,800 square feet. The most expensive Missouri City townhomes were built between 2000 to 2014, offering as many as 4-bedroom floor plans. Missouri City townhomes for sale are more affordable than their single-family home counterparts, with prices ranging from $100,000 to just under $370,000. Due to current zoning ordinances in the city, there are no mid- or high-rise Missouri City condos for sale. For loft and condo options, homebuyers can check out the various options within Houston neighborhoods like the Galleria and the Medical Center area. Steeped in history, Missouri City traces its roots back to the Buffalo Bayou, Brazos and Colorado Railway (BBB&C). It was the first railroad in Texas and it started operating in 1853, running from Harrisburg to Stafford’s Point (now Houston and Stafford, respectively). In 1890, two enterprising investors, R.M. Cash and L.E. Luckle, acquired a 4-square mile parcel along the rail line. The real estate investors promoted the property in St. Louis, Missouri. They called it “a land of genial sunshine and eternal summer”, an image that today still features heavily in the city’s logo. Three years later, W.R. McElroy also purchased an 80-acre parcel in the area and ran an advertising effort similar to that of Cash and Luckel’s. He dubbed the area “Missouri City” to further tie his parcel to the earlier campaign. The town was registered in the mid-1890s with the Harris County and Fort Bend County clerks. By 1956, residents made the move toward incorporation, due mainly to fears of annexation. Today, Missouri City is still growing. Master-planned communities, industrial parks, and established neighborhoods make up the city, a mix of new and old. Missouri City features a wide variety of outdoor recreation, entertainment, retail, and dining options within its borders. The city’s Parks and Recreation Department received the Texas Gold Medal Award, and operates around 20 parks covering just under 400 acres. The Missouri City Recreation and Tennis Center is a particularly popular hub, featuring 13 tennis courts, 4 batting cages, a gymnasium, locker rooms, multi-use rooms, and a fitness center. Other parks in the area offer a variety of amenities, including walking trails, swimming pools, fishing and boating areas, playgrounds, and lakes. Quail Valley Golf, Grille & Events is home to La Quinta and El Dorado golf courses, the Bluebonnet Grille, ballrooms, and conference rooms. Sienna Plantation Golf Club, on the other hand, is a semi-private golf club with a Arthur Hills and Mike Dasher-designed championship golf course. Residents are also only minutes away from retail and dining options. Riverstone Shopping Center, located along Highway 6, has around 200,000 square feet of space stretching from University Boulevard to Riverstone Boulevard. The shopping center features several stores, including Kohl’s, Target, and Home Depot. Several other dining and commercial establishments line Highway 6 and minutes away from Missouri City homes.